As small business owners, we have a lot to say about our respective industries! And thanks to blogs and social media, we can be our own publishers and broadcast channel at the same time. We can share ideas, create communities and use them to reach more people than ever. But the big question is how do we create great content people want to read – and share – as well as content the search engines will serve up to searchers? It comes down to editing. Editing is the most crucial step in the writing process and it’s the one thing we can do as small business owners to please both our audience and the search engines. It can be a frustrating exercise though, when you’re in “writer mode” and believe you’ve written a brilliant piece. Let’s be honest – sometimes it’s all we can do to write, period! But realize this: editing your article or blog post will make it better. Once you understand and embrace the process, it gets easier and writing gets stronger. In turn, audiences thank us for created well-honed content and they share it with their audiences. So how do we get started on the road ot better editing? There are as many approaches to editing as there are writers. The following is my editing process. Experiment and see what works for you. I print the next draft out. I read this with red pen in hand, playing with the structure, seeing what would happen if I moved this sentence here and that one there. Often, merely rearranging words within a sentence will shorten that sentence and make it more powerful. Words are a writer’s paradox. We need them as tools, but when used to excess they weaken our product. I treat this rewrite as an opportunity to ensure the words I’ve chosen are the right words, to direct my readers, slow them down or speed them depending on the message. Are you being redundant? If you used something like “absolutely complete,” “ask the question,” “for a span of one month,” or “factual information,” then you’re repeating yourself. It’s either complete or not – you don’t need the word “absolutely” to make your point. This is my last chance to ask myself the tough questions. Am I going deep enough? Does the conclusion wrap up the package and give the punch I want it to? Step 5 – Is this the best I can do? The mother of all editing questions: Is this the best I can possibly make it? If so, then I’m done. If not, then I look at where I can do better. If I’m honest with myself, I KNOW where I’m slacking and where the train is coming off the rails. Some people find having a “gentle reader” to be a boon. If you have someone in your life who can be supportive yet helpful, intelligent yet gentle, make use of them. It can only make your writing stronger. Ready to publish your blog post? Print out this checklist and ensure you’re search-engine-ready before launching it into the world. Do you have at least 2 keywords in mind that are associated with this idea? Does your title (H1) contain at least one of your keywords? Do you have an appealing subtitle (H2)? Do your keywords appear within your body copy? Do variations of your keyword appear within your body copy? Does your post have a meta description? Think of your meta description as your thesis statement in 160 characters or less. Do you have links within your post where readers can go to for more information? Are those links anchored in keywords? Is your body copy at least 250 words in length? 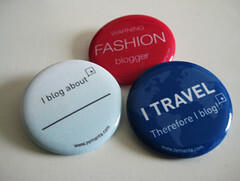 I wish you well on your quest to blog for your business. I hope my ideas on editing will make it easier for you to appease and please your audience and the search engines. Julia Rosien is the founder and Chief Idea Officer of SocialNorth, a social media strategist firm as well as founder and owner of GoGirlfriend, a travel-based website for women. Julia serves on various boards of directors. She is currently the 2013 Chairman for Withit.org, a non-profit organization for women in the home and furnishings industries and Chief Marketing Officer of a startup tech network for women – Women Powering Technology. Catch up with Julia on Twitter, Facebook or LinkedIn.